3.Design is available, OEM&ODM are welcome. 5.All products are safe , FDA ,RoHS,LFGB,REACH can be passed. A1:Yes,we are manufacturer no doubt. We are a professional machine-blown borosilicate glass manufacturer with more than ten years manufacturing experience and we will offer you the suitable glass. Q2: If i couldn't find the right item ,What should we do? A2: We can open a new set of moulds, if your order quantity is big, we can use machine to blow; if your order is small, we can use person to blow. Q3: Is your glass all 3.3 borosilicate glass? A3: Yes,we only produce 3.3 borosilicate glass, if we change the material frequently, we may face furnace problem, it is a huge loss for us—one furnace is at least a million USD. Q4: If there are problems , What should we do ? we will work together to find a solution ,we believe that as long as we communicate well , no problem can not be solved . By sea,by air,by courier,all your choices! 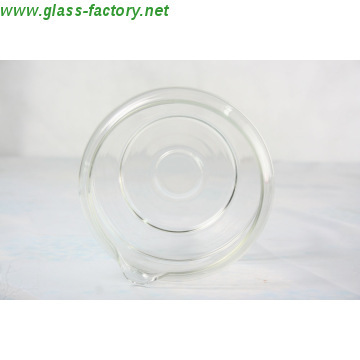 HANGZHOU AIJIA GLASS PRODUCTS CO.,LTD is a professional joint-venture of high boron silicon glasswares. The company is located on the bank of the beautiful Xin an River, which is only 30km from the worldwide famous sight of scenery---Qiandao Lake.The factory covers 5.7 hectares, with building area of 55,925 square meters,capital assets of 74 million, 70 units of production facilities, and more than 150 professional technicians. We have the world class advanced total electrical glass melting kiln technique, and the country wide leading technique in 3.3 boron silicon glass mechanized blowing lines. We have applied automatic bursting and nipping techniques and accompanied supervising, measuring, and testing facilities. At present, the company has put enough facilities into production, including 3 high boron silicon glass electric furnaces, 3 automatic glassware molding line and one hand-made glass production line.Now the annual production capacity of middle-high class 3.3 boron silicon glassware reaches 8 million pieces. By the end of 2020, we expect the annual production capacity of 3.3 borosilicate glasswares would reach 30 million pieces, enjoying an outstanding reputation both home and abroad.Hangzhou Aijia Glass Products Co., Ltd. is one of the production enterprises with governmental investment on key techniques, and also the key developing enterprise in professional techniques, advanced facilities, and most potential in progress. Pursuing the modern techniques and product excellent performance is Aijia' s ideal. In the latest competition environment, we insist on the business policy of "quality + services & demands + creation". With the development strategy of "creating the world-class brand", we would provide high quality products and excellent services to our valued customer. For our mutual long-term and healthy development, Aijia would devote into building an international brand of China glass wares. Factory Info: Hangzhou Jiayi Craftwork Co., Ltd.
Hangzhou Jiayi Craftwork Co., Ltd. is a company specialized in developing, producing and selling iron handicrafts and electronic lamps. Since the establishment, our company pays close attention to the world trend, grasps times' pulse and introject the handicraft of China and western countries. Depending on advanced technology, first-rate production equipment and masterly professional design ability, we have put out generations of modish products which reflect fashion originality and cater for times' trend. Our company has won fame both at home and abroad with fine quality and hearty services in the same trade. Our products find a good sale in the USA, Britain, Germany, Brazil, Italy, and Australia. Looking forward into the future, shouldering heavy responsibilities, in line with the principle of "pursue excellence basing on customer satisfaction", Hangzhou Jiayi Craftwork Co., Ltd. is willing to offer the most outstanding products, most reasonable price and most perfect services to achieve mutual benefit. We hope to go forward hand in hand with people from all walks of life at home and abroad, and build a bright tomorrow together. Your inquiries are welcomed with all our heart. 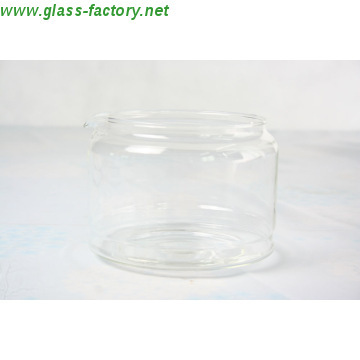 Factory Info: Hangzhou Aijia Glass Products Co., Ltd.